#alternateuniversealbum is a feature in which we get people to tell us which album they’d choose if they had to get up and leave earth today and go to a brand new universe empty of our music. Would they be selfish and choose something to comfort themselves or would they choose something to help whatever may live or come to live in this new universe. In my opinion, great music has an immersive quality – truly memorable and inspiring music invades your mind and gets under your skin. Pieces of music have the power to completely overwhelm and transform your experience of the world. Certain tracks can seem to transport you, for however long they last, to new places. In this sense, listening to an album can be in some way similar to being flung into an unfamiliar universe. 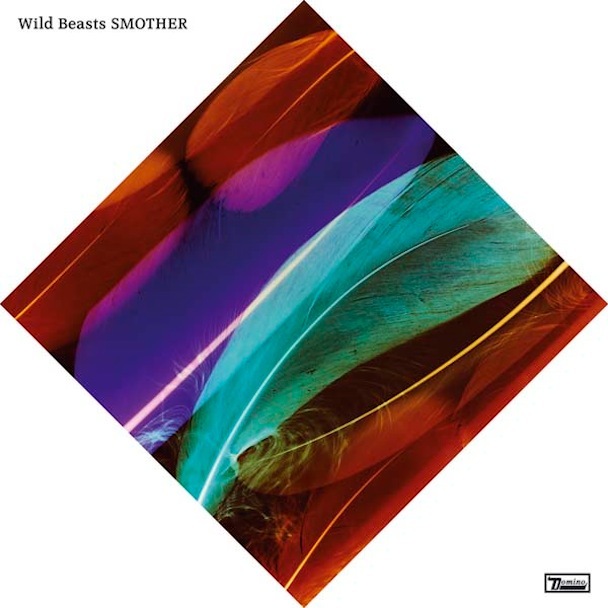 Wild Beasts’ third album, Smother, has just this quality. It is a haunting, and haunted record, as Hayden Thorpe and Tom Fleming’s insistent, unearthly vocals seem to emerge from dark depths, to sing of wraith like women, horror and loss. Yet, while the trembling eeriness of the voices and the undercurrent violence and despair that pervades the tracks do disturb, this is not a bleak album, but a rich, luscious one. The instruments work in perfect balance and harmony to produce dreamy waves of sound, which nevertheless contain strong, pulsing beats. The tracks seem to be simultaneously soothing and rousing – equally suited to soundtrack marching walks and as a dreamy background to stillness. This album is timeless and placeless. Whatever the environment, this music would seem both alien and at home. From the first moment’s of Lion’s Share, which opens with a simple but menacing pound, you ask the same question shakily sung in a close, breathy way in the starting lines: “What am I supposed to think?” The lyrics are clever and cleverly ambiguous. Both dark, threatening and physical – “I take you in my mouth as a lion takes his game” – the sensuality is also potentially sorrowful – “I would lie anywhere with you/ Any old bed of nails would do”. Even after many listens, each song still seems somewhat unpredictable. The last track, End Comes Too Soon, encapsulates the album’s beauty. Both vocals and instrumentals at first seem fragile, but rise to a soaring firmness that feels infinite. The sound seems to drown you. And yet, as Thorpe repeatedly, and almost painfully, chants, the end comes too soon. No matter what world you may find yourself, when smothered in this sound, you are in another universe entirely. Eloise Hendy is a student at Edinburgh University. She studies English Literature. She has worked for Oxfam and is the kind of philanthropist who pushes you to double donate. She also has an unhealthy love for suspect mash-ups (Snoop Dog and Grease – anyone?) and often wishes that life played out more like a festival. Glastonbury – to be precise. I read this article and found it very interesting, thought it might be something for you. The article is called Smother – #alternateuniversealbum and is located at http://prancingthroughlife.com/2013/11/29/smother-alternateuniversealbum/.